When someone mentions school lunch, chances are “environmental revolution” isn’t the first thought that comes to mind. But as Michael Wines reported in yesterday’s New York Times, that’s exactly what’s cooking in urban lunchrooms across the nation. Six of the country’s largest school districts—New York, Chicago, Dallas, Los Angeles, Miami, and Orlando—have teamed up to form the Urban School Food Alliance, a partnership that’s pushing for healthier and more environmentally friendly lunchrooms by leveraging its combined purchasing power. Steady institutional demand can move markets for more sustainable products, as we have seen over the last 20 years with recycled paper, green cleaning supplies, and other goods. Thus, NRDC, as part of our overall food advocacy work in New York and around the county, is thrilled to be working closely with the Alliance. Like these school districts, we see huge potential through this unique coalition to build new national markets for sustainable food and other products. We're also pleased to be working with the many groups who have done such great work to date—some real local and national school-food leaders including School Food Focus, Cafeteria Culture, Wellness in the Schools, and New York City Coalition for Healthy School Food. 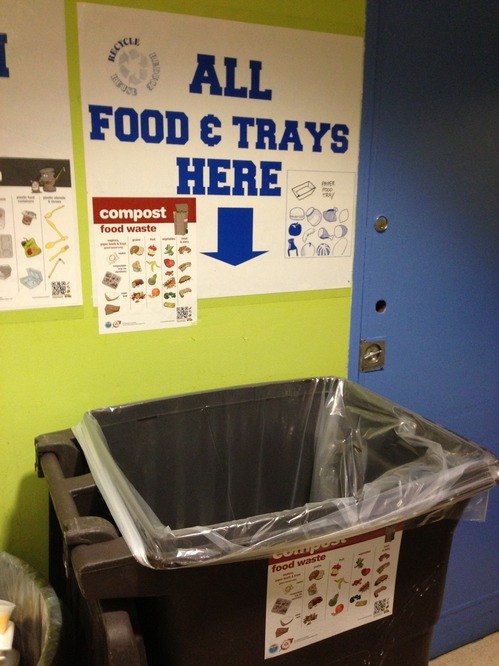 The Urban School Food Alliance's first initiative involves shifting from polystyrene (commonly referred to as styrofoam) to compostable trays. With an astounding three million combined lunches served in the six big-city districts each day, the change will have immense environmental benefits. By switching to compostable trays, the Alliance can reduce the pollution associated with creating the old polystyrene trays and then burning or burying them, as is the current practice. An initial New York City pilot program reduced cafeteria waste by 85% in eight schools last year. Moving to these trays will also help divert food waste to much-needed compost for our farms and gardens. The Alliance's next target is healthier and more sustainable food, beginning with antibiotic-free chicken. The large-scale purchase of antibiotic-free chicken would have a remarkable impact on human health and the environment by encouraging farmers to shift production practices—encouraging less concentrated farm operations and helping to slow the development of antibiotic-resistant bacteria. New York City and the Alliance have already taken the first step by putting out a “Request for Information” to national chicken suppliers in order to learn more about their production practices. This is a powerful and first-of-its-kind effort to improve school food and our environment.